Hello, I'm Tien, I live currently in Paris but most of my time, I travel with my little family and photograph the amazing couples all over the world. Yeah, we live 8 months in Paris and 4 months in Vietnam from November. Photojournalism and storytelling are what I pursue in photography. I love to spend time with my couple, travel with them, adventure with them, listen to their stories, come to their wedding as a friend, capture the true, real moments, and tell again their stories with images. I love the longevity of pictures. Years after years, when will you look at again your album, they will bring you back to the true memories, the true emotions. This is the challenge in photography to me. Contact me! Tell me your story and let's create something special together! Our dream is traveling the world, and we try to do that as much as possible. Here are our next stops. Please tell us if we will cross your places. Let's meet, coffee, beers and photograph! Weddings, elopements, engagements... Contact me! I'm excited to stop by your place, listen to your stories and create something beautiful with you. Write me here! WOW!!!! Que dire... merci beaucoup pour les photos, elles sont sublimes, merci infiniment!!! On les a déjà partagés avec nos proches et ils ont tous adoré! Et nous on les regarde un peu tous les jours. Cette journée était folle et grâce à toi, on en a des souvenirs à vie... Ça sera avec grand plaisir qu'on se reverra à l'avenir, à Berlin, Paris ou ailleurs, on se donne des nouvelles! Prend bien soin de ta petite famille et profitez bien de ce voyage incroyable. 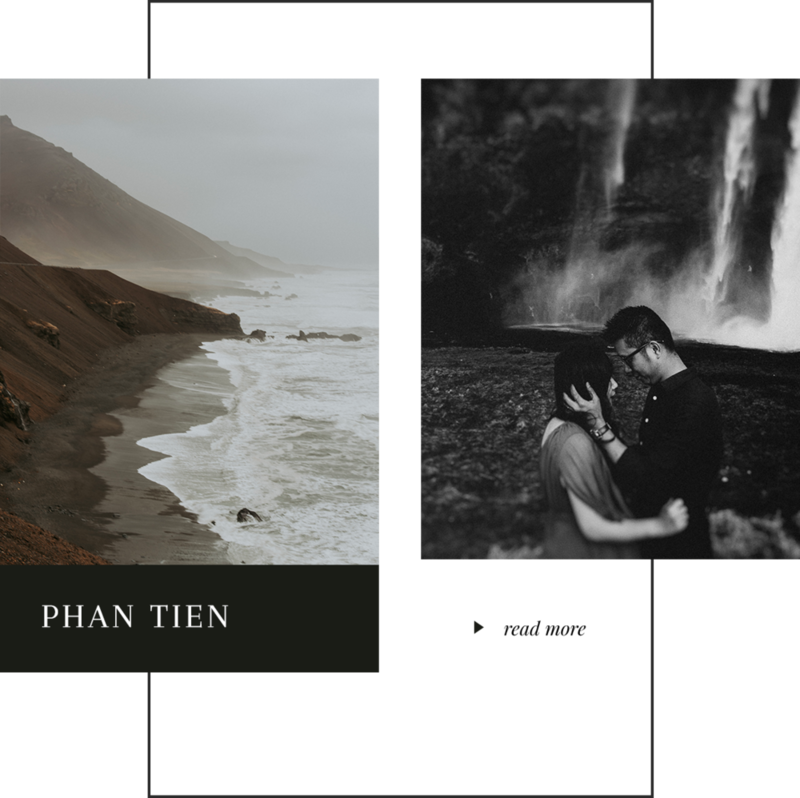 Tien is such a lovely person, we really enjoyed having him by our side during our wedding - plus he is ridiculously talented, all our pictures look amazing! Thank you again so much!! Tien! Our pictures are so amazing! (We knew they would be ️) We love them. They made me cry, and laugh, and smile haha. You have no idea how much they mean to us and how happy they have made us. We’ll cherish these memories forever and we are so thankful to you for being so amazing at what you do!